Unusual behavior in a motor controller has prompted the delay of the next flight of Rocket Lab’s Electron launcher. During the wet dress rehearsal for the mission dubbed “It’s Business Time,” the pad operations team found the anomaly. “With just days between rehearsal and window opening, the call to move to the window is a conservative one made to allow the team additional time to review data,” reads a statement on Rocket Lab’s website. Rocket Lab was founded by Peter Beck in 2006 to serve the small satellite community. It’s primary vehicle is the Electron rocket, an all-carbon-composite, two-stage launcher. At nearly 57 feet (17 meters) tall and four feet (1.2 meters) in diameter, the booster is capable of placing some 500 pounds (250 kilograms) into a 310-mile (500-kilometer) Sun-synchronous Earth orbit. The company says nearly all of the components of the Electron are manufactured in-house, including the frame, engines and avionics. Electron is powered by a total of ten Rutherford engines. The first stage consists of a nine engine cluster of the oxygen/kerosene pump-fed engines. The second stage is propelled by a single engine optimized for operation in a vacuum. Each use unique high-performance electric propellant pumps that help reduce mass. The company has launched two Electron rockets so far. The first flight, dubbed “It’s a Test,” completed second stage and fairing separations but was destroyed by range safety when telemetry with the vehicle was lost. The second flight, “Still Testing,” successfully deployed multiple CubeSats for Spire Global and Planet Labs. Those missions occurred in May 2017 and January 2018 respectively. 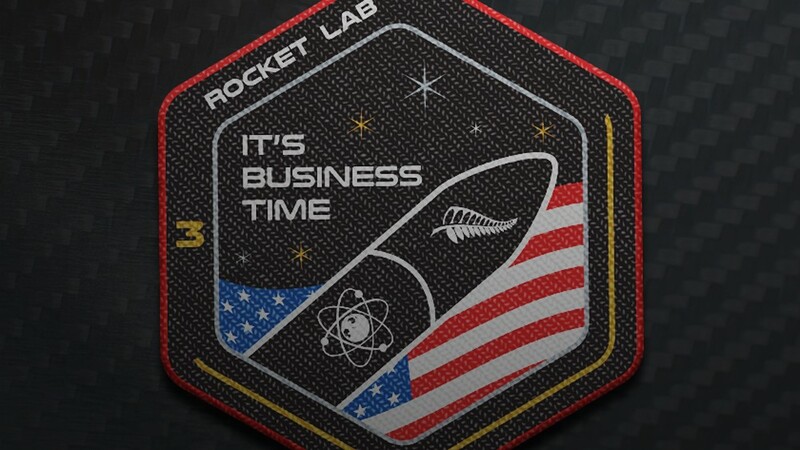 “It’s Business Time” will be Rocket Lab’s first fully commercial mission.